Jeff Morris begins his liner notes for Interfaces - Jazz Meets Electronics with a friendly warning that the listener “is going to experience some unfamiliar musical moments” as Morris wields his real-time sampling apparatus in a series of free-wheeling trios with veteran Karl Berger, playing both vibes and piano, and percussionist Joe Hertenstein. He’s right about the unfamiliar part, as the textures and colors that this unit creates are indeed quite unusual. 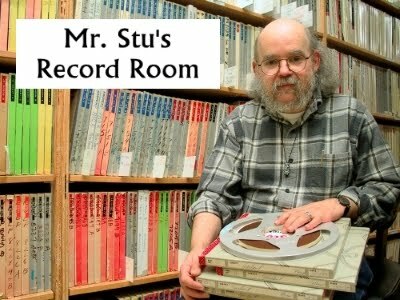 In his notes, Morris goes into some details about his setup and methods, but that kind of information is really just for musicians. For the rest of us, what matters are the sounds and how they make you feel. I’m happy to report that this is an attractively wild collection of genuinely improvisatory electronic music. Berger has been at the forefront of the improvised music scene for a long time now, both as a recording artist and as the creative leader of the Creative Music Studio in upstate New York. The CMS slogan is “Music Without Borders,” which could also serve as the motto for this project. 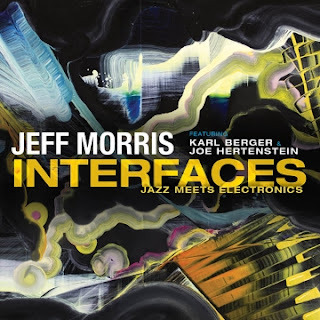 The pieces are surreal blends of recognizable and unrecognizable sounds, as Morris’ rig twists, loops and manipulates what Berger and Hertenstein are playing into a variety of unexpected shapes. If you enjoy being surprised by your listening choices, the wacky and frequently humorous sound collages of Interfaces will definitely fit the bill.